Indie Sales handles rights to Moomins On The Riviera; UK release planned for May 2015. Vertigo has acquired UK rights to Moomins On The Riviera from Paris-based sales company Indie Sales. The hand-drawn 2D animation feature, directed by Xavier Picard, recently played at the BFI London Film Festival and is already a huge box-office hit in its local Finland. 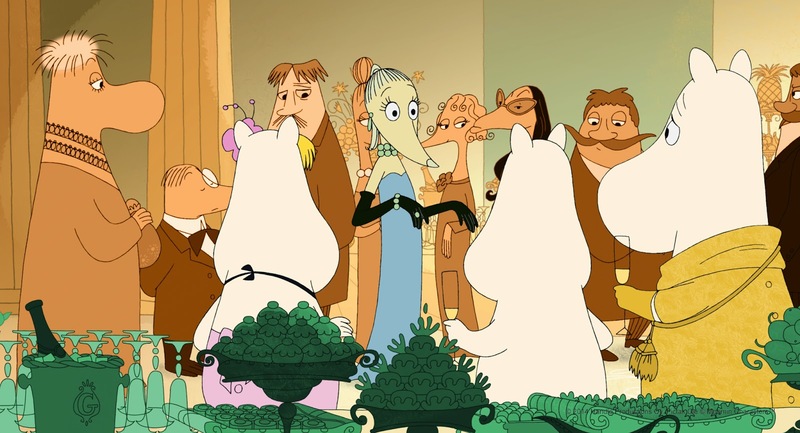 The film is adapted from Tove Jansson’s original comic strips, and tells the story of the Moomin clan on a journey to the glamorous Riviera where they meet a world of new people including would-be artists, film stars and playboys. The creative team behind the movie includes Sophia Jansson, Tove’s niece, along with Finnish producer Hanna Hemila (Le Havre). The voice cast for the English-language version of the film includes Russell Tovey as Moomin and Nathaniel Parker as Moominpappa. Vertigo’s Rupert Preston and Nicolas Eschbach of Indie Sales negotiated the deal. Vertigo’s upcoming slate also includes Susanne Bier’s A Second Chance, Tom Green’s Monsters: Dark Continent,and Jo Nesbo’s Doctor Proctor’s Fart Powder.